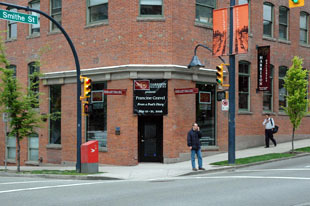 Harrison Galleries, Vancouver's foremost fine art dealer, remains family owned and operated with over 50 years' experience in the art community. Representing the art of renowned regional and internationally recognized artists, we carry an extensive collection of traditional and contemporary paintings. For just a few of the exceptional pieces we have to offer, browse the frequently updated artists and art shows links or visit us. Please email with pricing inquiries, we would be happy to answer your questions. Packing and worldwide shipping services are available. This Site is always being updated so please feel free to add your name to our mailing list and we will email when updates occur.